“I want to say what makes your company stand above the rest are your employees. Stephen and Matt are tops in their field when it comes to customer service. They make it comfortable to ask questions and their responses are in laymen terms that even the least skilled computer person has an idea of what was explained to them. 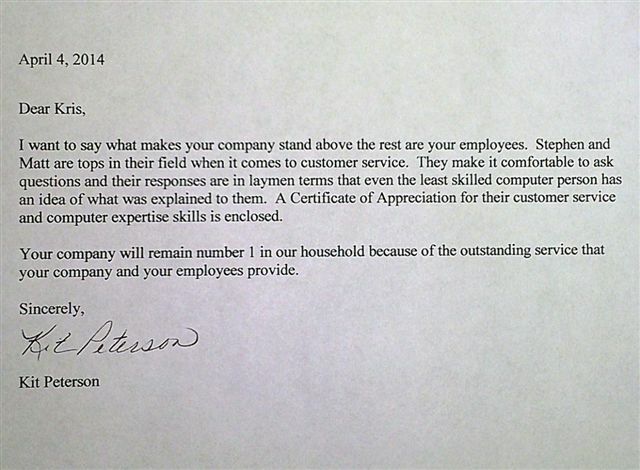 A Certificate of Appreciation for their customer service and computer expertise skills is enclosed.